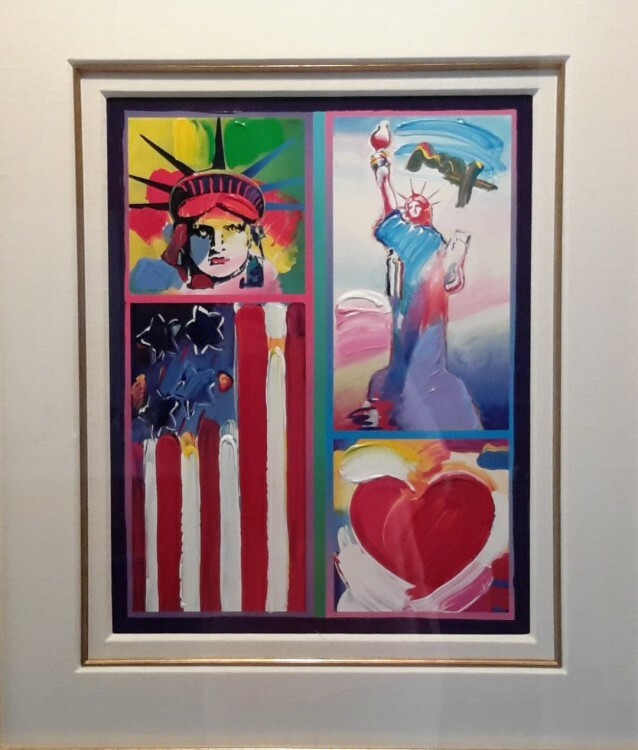 This piece has a higher value because of the recognizable iconography and trademark style of Peter Max. You may wonder what factors determine the value of a work of art. How does an artist come up with a specific dollar value to attach to their art? 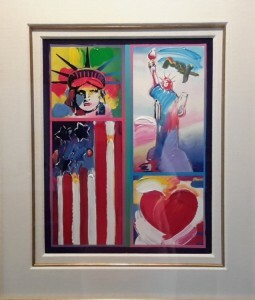 Or what is involved in evaluating a work of art before it is put up for auction? There are many factors involved in evaluating the value of a work of art. The most foundational factor is scarcity. Art is in and of itself a completely unique way of expressing the artist’s perspective. Oftentimes, the artist only creates a single work. This is why art is usually priced so high. Sometimes, an artist will create a series of original prints or limited edition prints. The number of copies will affect the value of the work, but since they are still created by the artist, the prints will still be more valuable than, say, a poster of a Picasso painting that is sold at a department store. After determining the scarcity, there are other factors that play into the value of a work of art. Art may have a certain intrinsic value, but it’s value is also determined by how the work fits into the artist’s body of work and the art world and art history at large. The more iconic and influential the artist, the higher the work is likely to be priced. It’s also important to note that the popularity of an artist can grow and diminish over time. A fashionable artist may be very actively getting exhibitions at galleries and often discussed in the press, which increases the value of the work. However, if the artist retreats from the art scene, the value of the work will likely diminish. Artists who are new to the art scene and increasing in popularity can often sell their work for more. Buyers strive to find the newest and most popular art, and a new artist who is successfully popping up in several exhibitions can be promising. The art itself plays a role in determining its own value. Buyers look for artwork that is representative of the artist. If the art for sale is from an artistic or experimental period that is less indicative of the artist’s well-known style, then the art will not be able to sell for as much compared to another work that embodies the artist’s signature style. Occasionally, the medium of the art and means of production will be factored into the price as well. The artist may want to be recouped for expensive materials, like gold leaf or marble. The size of the work will also determine the price; larger works tend to sell for more than smaller ones. This entry was posted on Friday, July 15th, 2016	at 9:51 am	and is filed under Collectable Art	. Both comments and pings are currently closed.